COOL VEST™ (short) Breathable 1 to 18 lb. Weighted Vest Supplied with 9.5 lbs. 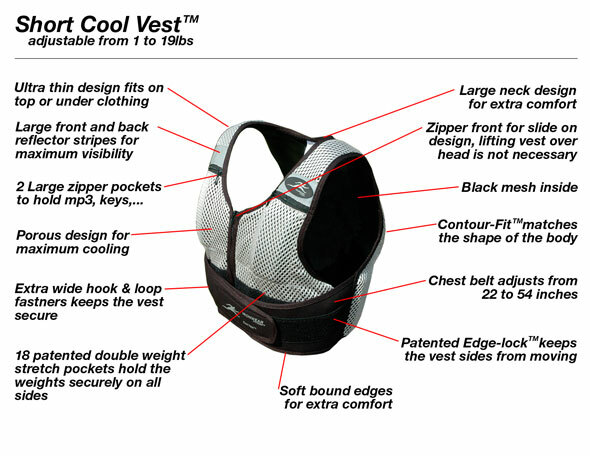 COOL VEST™ is designed for walking, hiking and conditioning exercise. COOL VEST™ is the “Ferrari” of weighted vests. 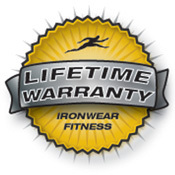 The sleek design of this patented vest combines IRONWEAR®’s ™soft Flex-metal® weights with a wide array of high performance features unmatched by any other weighted vest. COOL VEST™ gives you the best fitting, thinnest, and most comfortable weighted vest available. The proprietary oversized stretch strapping system holds the vest securely to almost any size torso, while the new patented double lock system on the belts keeps the vest completely stable. The design allows the vest to expand to accommodate your breathing, even during rigorous exercise. The special weight pocket system distributes the weight uniformly over the chest and allows the soft weights to bend and flex with your movements. COOL VEST™ incorporates a silver porous polyester shell to reflect the sun’s rays and to allow air to flow freely through the vest. COOL VEST™ helps to keep you cooler so you can workout harder. COOL VEST™ helps keep you safe by making you easier to be seen. In addition to the silver shell, special large reflective banding has been incorporated into the front and back to increase your visibility to traffic in low light. COOL VEST™ lets you stay in tune, with two front accessible chest pockets designed to hold an i-pod, MP3 player, keys and/or a cell phone in addition to weights. COOL VEST™ is the easiest weight vest to put on and adjust. The large open v-neck and zipper front make the COOL VEST™ easy to take on and off. Unlike many other vests it does not require the vest to be lifted over your head. Also unlike other vests once on the COOL VEST™ can be instantly adjusted to the desired fit by the wearer. COOL VEST™ will not get in your way. With one layer of soft Flex-metal® weights the vest is only a ½ inch thick. This combined with the thin flexible padded shoulder straps keep the COOL VEST™ from inhibiting your movement in any direction. COOL VEST™ is easy to clean. Hose it off, hand wash or machine wash with the weights removed. COOL VEST™ can be worn in the water. The vest is constructed primarily of a fast dry polyester mesh. 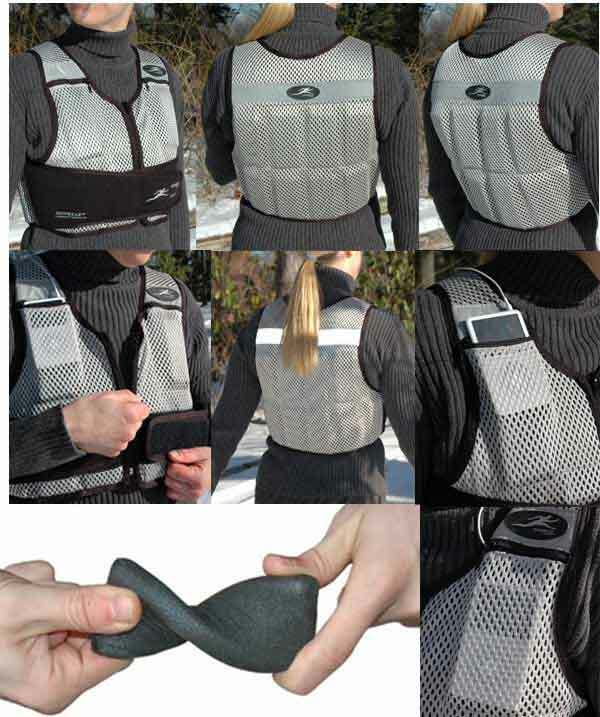 The porous design keeps water from collecting and permits the vest to dry quickly. COOL VEST™ (short) is supplied at 9.5 pounds with a single layer of Flex-metal® weights, but can be adjusted from about 1 pound up to 18 pounds by adding additional ½ pound Flex-metal® weights.